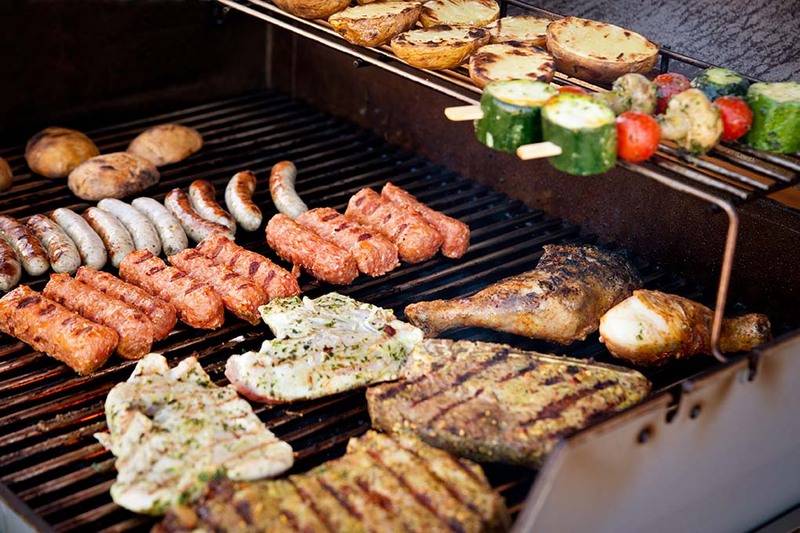 Barbecues are about making the most of good weather and having fun. You don’t need much to have a great barbecue, but if you’re aiming for perfection you will need our ultimate checklist of the top 10 essentials for the perfect BBQ party. Invest in a BBQ that meats your needs! Consider ease of use, preferred flavours and how many people you will be cooking for, as this will determine the size you need and whether gas or charcoal is best. Gas BBQs tend to be easier to light, use and clean than charcoal, but charcoal BBQs cost less and also flavour food more with that unique, smoky BBQ taste. A charcoal BBQ can take up to 40 minutes to reach the optimum cooking temperature, while gas is practically instant. Size-wise, think about the cooking area, how much you will fit on there at once, and how many people you will be cooking for. Remember your barbecue fuel or you won’t get very far with your barbecue! For a gas BBQ you will need a canister of patio gas, which is available in 5kg and 13kg bottles. For a charcoal BBQ you will need charcoal and lighter fluid. Don’t forget matches or a lighter too. Tip: add BBQ wood chips to charcoal to give food a unique and delicious flavour. This essential is for those using a charcoal BBQ. A chimney starter will greatly speed up the time it takes for a charcoal BBQ to reach optimum cooking temperature. Follow our step-by-step guide to lighting a charcoal BBQ for further details. If you’re going to do a job well you need the right tools. Long handled utensils will keep your hands away from the hot grill and protect them from burns, while allowing you tend to your tasty delights. You will need a long handled spatula, tongs and fork, to safely move food around the hot grill. You will also need knives, a marinade brush, a couple of chopping boards and an apron. When you cook meat on a BBQ it is critically important to make sure it is cooked all the way through. It’s easy to burn the outside and not cook the inside on a BBQ. A meat thermometer will help you know if the inside is cooked. The internal temperature of cooked chicken is 165°C, pork and beef is 145°C. This will prevent any illness among your guests so they remember your party for the right reasons. Cleaning your BBQ grill with a suitable brush will prolong the life of the grill and improve the taste of your food the next time you cook. Scrub your grates while they’re still warm to remove any residue and burnt food. For a stainless steel or porcelain grill, use a brass bristled brush as it won’t scratch the surface. A tough wire brush is required for a cast iron grill to give it a good and vigorous clean. Check out our guide on how to clean a charcoal BBQ for more information. Feeling relaxed and comfortable is key to enjoying a BBQ. You will need a sufficient amount of chairs and tables for you and your guests. Picnic rugs are a fun and easy way to make more room for children. Accessories like table cloths, parasols, candles and vases of fresh flowers make all the difference. When setting up your BBQ, don’t forget the music. Find a safe and sturdy spot for your music player that’s out of the way but close enough to provide some subtle background music. Organising a BBQ in Ireland means contending with our notoriously unpredictable weather. A sudden cool breeze is all it takes to lower the mood at your BBQ party. Make sure guests stay comfortable with an outdoor heater such as a chiminea. It will also allow you to keep partying as night falls. The fun doesn’t need to end when the sun goes down. With the vast array of outdoor lighting solutions available at Topline, you can easily shine some light on your party and make the most of the evening. Your pre-barbecue grocery shop needs a bit of preparation. Write a shopping list of all the food, drink and condiments you need, as well as tin foil, paper towels/napkins and cleaning supplies. Do you have enough glasses and plates, or do you need paper plates and disposable cups? What are you going to cook? Outline a rough menu including mains, drinks and desserts. 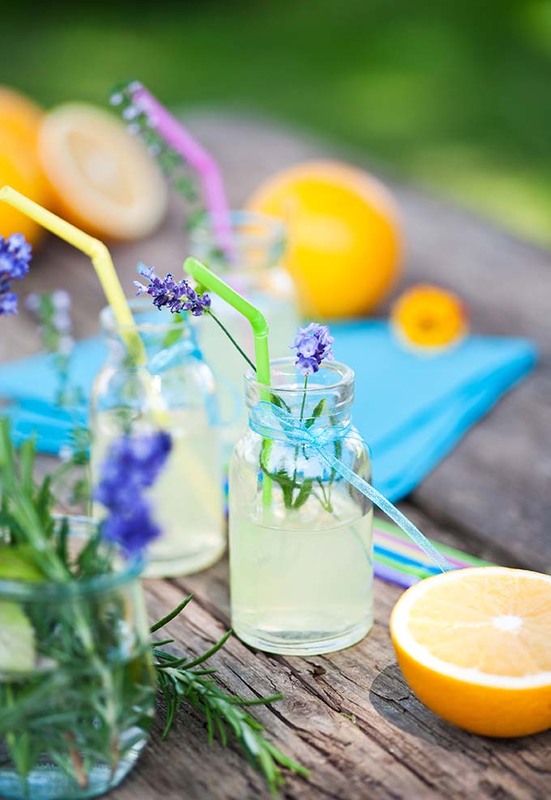 Here are some ideas that work really well for a BBQ party: burgers, sausages, chicken skewers, prawns, sweetcorn, peppers, ribs, kebabs and salad; drinks: homemade punch, lemonade, ice tea, wine and beer; and desserts: pavlova, fruit salad and ice cream. There’s one more thing you’re going to need - company! Barbecues are the ideal excuse to get friends, family and neighbours around for a catch up. Nothing helps a party atmosphere along like the right people, and what better way to show off your cooking skills en masse!